With no financial burden from the municipality of Beirut, a company called “Bike 4 All” installed the first of 25 proposed bike sharing stations for Beirut, right next to Le Grey in the downtown area. To be thrilled about installing a bike sharing station in Beirut, which is nothing more than decoration at this point to the overgrown sidewalk in which it’s placed, is like one of those Beirutis being thrilled about their new face-lift without realizing they look like they’ve been hit in the face. I hate the be *that* guy again (queue in the masses complaining that I always nag) but how is this the best thing to happen to the city in recent times? This is yet another manifestation of us, Lebanese, seeking out what brings out the flashiest headlines and most viral news report without the proper planning for it. Tell me, did those Western bike-loving cities we want Beirut to look like install bike sharing systems without having the proper roads for them? The answer is no. Doesn’t have policemen who enforce traffic laws if present. Beirut has had a bike sharing system for years now. It was called “Beirut by Bike.” The many issues that company faced are summed up by the points above: every trip taken on a bicycle in the city is a hazard for the person riding. In fact, the only Lebanese city that has a bicycle lane is Tripoli. You know what happened to the bicycle lane there? It’s become another strip for people to park their cars, and we both know that will also happen to the lane in Beirut, because that’s how we – as Lebanese – roll, especially when there’s no enforcement of any law pertaining to such things. Yet again, where will they actually place those bike lanes? Beirut’s roads are already congested enough with the city needing a major overhaul of its entire traffic system for it to be able to introduce anything to it, and a bike sharing system without bike lanes is akin to our flag without the Cedar: it’s always lacking. The sadder part is Beirut doesn’t even have proper car lanes to begin with, and we want to fake civility with bike sharing stations? Announcing bike sharing stations before planning for them with lanes and other important facets is because stations bring attention, lines in the street do not. Perhaps in a city where garbage tends to find a way to pile up on the street every other month, and water is always scarce whilst the rest of the country drowns and where the only traffic law respected, albeit sporadically, is that of the seatbelt, biking isn’t a priority yet, especially when it’s not even thought out properly. We apologize from all citizens. But you won’t be able to use this highway on July 10th starting 7 A.M. We want a tunnel, not hypocrisy. 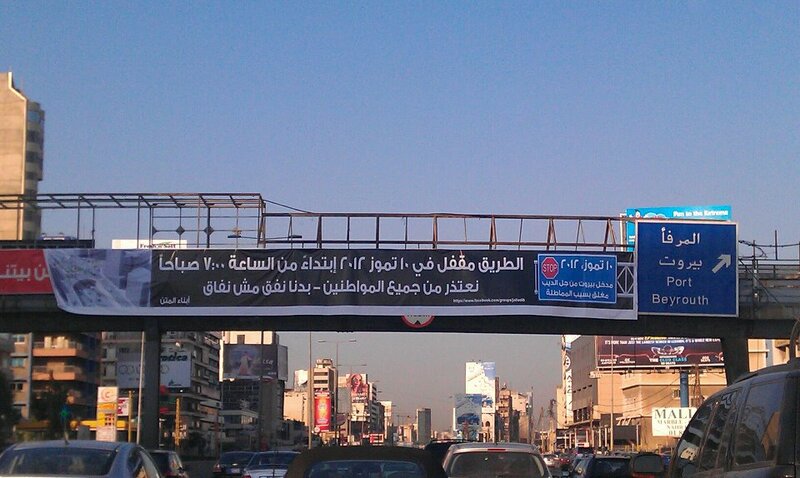 That’s the banner citizens of Jal el Dib hung on a pedestrian bridge near their city’s exit. They are still protesting the demolition of a hazardous bridge that threatened the lives of people who drove on it but which provided a passageway under it for them to access their city easily. So today, instead of immediately taking a left (or a right, depending on highway direction) when they reached the bridge area, they have to go all the way to the Nahr el Mot ramp and take the opposite highway. In total, that’s about 15-20 minutes extra in rush hour, not more and anyone who says it’s more than that is lying to you. Jal el Dib citizens can go into Antelias and take inner roads to get to Jal el Dib. But no! They need a bonafide bridge all for them. An extra few minutes is unacceptable. It’s a disgrace. One does not simply not have a bridge or a tunnel for their corresponding hometown in Lebanon. One does not simply lessen the exits on Lebanese highway to lessen congestion. One does not simply accept the government not spending over $20 million for a tunnel only one would be using. That’s how the citizens of Jal el Dib are functioning these days. Forget what $20 million would do (if it’s not stolen) to various sectors, we must spend them on a useless bridge. Better roads for all? NO. BRIDGE FOR US! One does not threaten to block the road for EVERYONE simply to prove a point. One does not stop EVERYONE from going to work just because you need an extra few minutes to get to work and with you being so close to Beirut, why don’t you think about those commuting from Tripoli every morning? God forbid you wake up a few minutes early every day so you’re not late for work. God forbid your city doesn’t “suffer” because it’s “harder” for people to get to it. Let me tell you something which applies to many: we won’t visit Jal el Dib unless we have something to do there and if we have something to do there we will have to take any road that gets us there. Perhaps some Jal el Dib citizens should be taken to some European countries where missing a highway exit means you have to drive for more than 10 minutes in order to correct your mistake. But hey, this is Lebanon. So they got what they wanted because our politicians are too cowardly to stand up for anything and our security forces are too “neutral” to disperse any undemocratic form of expression. 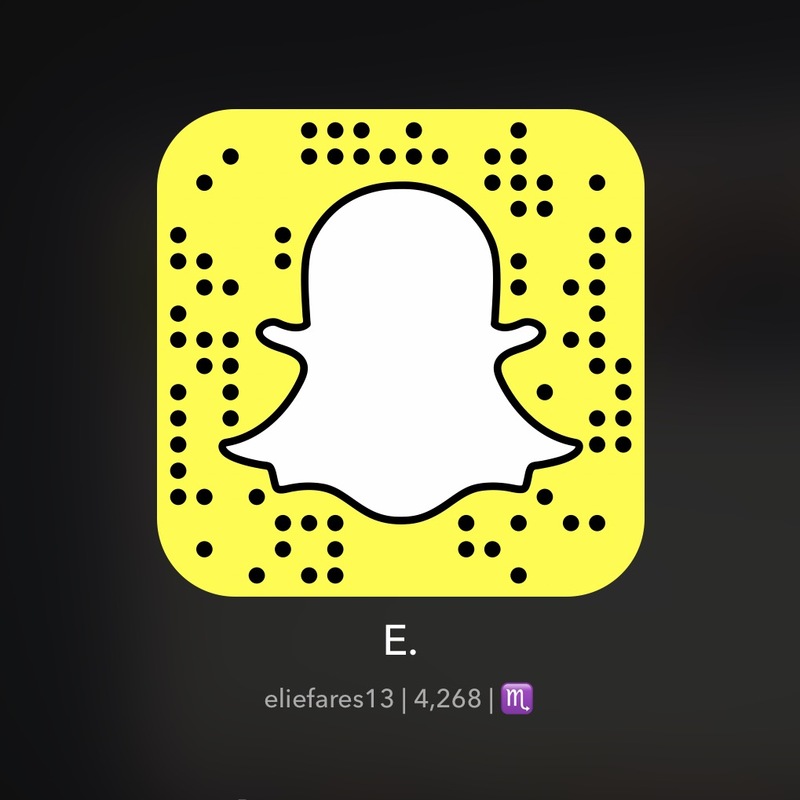 Fa bel lebnene, fina bala ghenej w me7en ba2a?